Statistics professor works to preserve land. The Frontera 2017 Annual Event was a great success! The guest speaker at the Frontera Annual Event was Carrie Hamblen. Hamblen is originally from El Paso where, in 1992, she earned a Bachelor’s Degree in Broadcast Journalism from UTEP. She earned a Master’s Degree in Communication Studies in 1995 and a Masters of Public Administration from NMSU in 2014. In 2012, Carrie became the CEO/President of the Las Cruces Green Chamber of Commerce, an organization that focuses on creating support for local businesses and creating more awareness about sustainable communities. Carrie’s main message to us was this: Even though you’ve been working almost fifty years to conserve Castner Range, please do not give up! She also urged us to consider locating marketable things unique to the El Paso area that could be “branded” as “Castner Range” as we seek to draw attention to our conservation efforts. A New Recreation Program! Ever wanted to learn how to kayak, rock climb or just simply be comfortable walking around a natural desert landscape? Do we have the program for you! Frontera is hosting several opportunities for you to get out and move while learning about your surroundings. The best part is you can have a great time and meet new people! Frontera will be establishing a pilot program in 2017; stay tuned for details. 2017 Strategic plan is complete! After many weekend meetings, we are very excited to share our re-evaluated mission and vision statements and restatement of our core values. In addition, we have six initiatives that the Frontera Board of Directors will be implementing with the assistance of staff. For a summary, please go to the Frontera website the first week of March. Mission: The Frontera Land Alliance protects—forever—natural areas, working farms and ranches, water and wildlife for future generations in the west Texas and southern New Mexico region of the Chihuahuan Desert. This includes Frontera leadership in education, resource management, and stewardship engaging in collaborative partnerships. Frontera promotes and facilitates balance in prudent approaches to ensuring the sustainability of our natural assets. 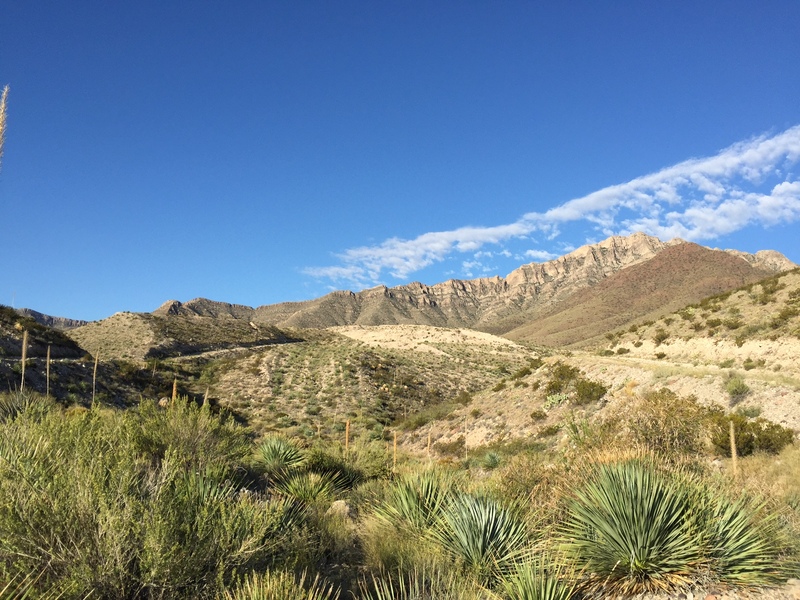 Castner Range: The next move. The core Castner Range team will be meeting this month with members of Congressman O’Rourke’s staff to consider our options—since former President Obama did not declare the Range a national monument in his last days in office—to create an even more efficacious way of conserving the 7,081 acres. (What we did achieve from the Obama Administration was a letter jointly signed by the outgoing Director of the Bureau of Land Management and a senior staffer in the Department of Defense. The letter speaks of cooperation between those entities and—in time—the opening up of Castner’s higher elevations to hiking.) We will continue to look at all options. We will keep you posted on the work that is being done and how you can once again help. Wyler Tram 16th Year Anniversary Celebration: Saturday, March 18 from noon to 4 p.m.